With double-sided 2.5D glassand the stunning layered nano-etched design, the Honor 9 Lite shines bright with its mirror-like effect. The slim integrated design and PPVD craftsmanship frame together enable light to flow around the device, bringing a seamless visual experience. A 4th Gen fingerprint identification technology speeds up the unlock process to an almost imperceptible 0.25 seconds and Chip-level security prevents any would-be hackers from stealing your biometric information. Vivid viewing without limitation. 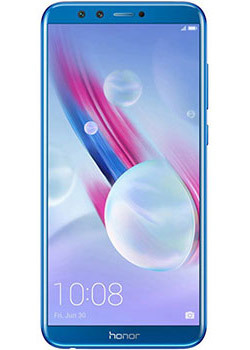 A pursuit of bezel-less screen enables the Honor 9 Lite to offer a 5.65-inch FullView FHD+ screen while keeping the body of a typical 5.2-inch screen device. Its 2160x1080 FHD+ and 18:9 bezel-less display empower you to multi-task and enjoy a more dynamic visual experience. The Honor 9 Lite’s front camera is a selfie lovers dream, with an industry leading 13MP + 2MP dual-lens system, panorama selfie, gesture control shooting, and built-in effects. Portrait becomes more stunning and natural with the help of an upgraded beauty algorithm. Honor 9 Lite paired with a rear 13MP+2MP dual-lens camera and PDAF fast focus, with advanced wide aperture mode which enables you to refine the focus after photo taking. Powered by the latest Kirin 659 Octa-core processor, fabricated in a cutting-edge 16-nanometer process and a CPU that runs as fast as 2.36GHz and 3GB of high-speed memory, the possibilities are endless. A huge 3000mAh battery has been tested rigorously and optimized throug fifth-generation smart battery saving technology, allowing you to go a whole day on a single charge.